How Long Does Weed Stay Fresh? What is the longest you’ve ever had a bag of cannabis? Here’s how long your herb is good for, and how to take care of it so it stays fresh. No one likes smoking or vaporizing old, dried out herb. Whether you’ve just harvested some of your own plants or picked up some herb in a plastic bag of some form or another, storing and curing your cannabis properly can make all of the difference when it comes to maintaining the taste and aroma of your bud. But, how long does weed last in a container? Here’s what you need to know about how long your herb stays fresh. 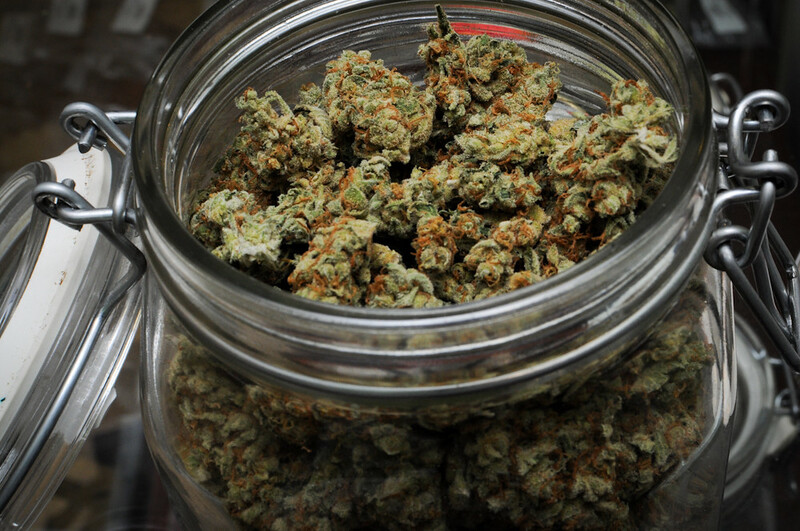 If cannabis is stored correctly, the dried herb can be kept for at least six months. Simple long-term storage methods can mean that dried cannabis can stay fresh for over a year, if not longer. If not stored properly, cannabis flowers will begin to dry out and become harsh to smoke within days. It is also unwise to store your cannabis without proper protection in damp or humid climates. When exposed to moisture, cannabis strains are likely to mold. Once harvested, the flowers and various active phytochemicals begin to degrade within minutes of being cut. After cutting down the plant and trimming off the fan leaves, most growers dry their buds hang them upside down. This drying process can take three to seven days before the flower is moved to smaller storage jars to cure. During the curing process, cannabis continues to dry and develop an aged quality, much like many other specialty products like wine, cheese, and smoked meats. The flavor and aromas in the flower are given their finishing touch during the process. A great cure can automatically improve the quality of the bud. Depending on the desired effect, some flowers are left to cure for as long as six months. However, cannabis buds are typically cured for a minimum of two weeks. During this first couple of weeks, the jar should be “burped” occasionally, to ensure the herb is curing properly and to prevent moisture buildup. While curing, the active components of cannabis begin to denature and change shape. Older cannabis is likely to have higher levels of cannabinol (CBN), which is a breakdown product of the herb’s most famous psychoactive chemical, tetrahydrocannabinol (THC). This may slightly change the overall effect of the individual bud over time. Every cannabis plant provides a truly unique experience. For consumers who want to maintain the integrity of the bud over time, investing in some humidity packs can make a huge difference. Cannabis flowers are cured at room temperature, with humidity levels between 60 and 65%. Humidity packs are not just useful for home growers, but even the casual cannabis smoker can better preserve strains for an improved smoking or vaporizing experience. Your herb can be stored in an airtight glass jar with a humidity pack for up to six months, at a temperature of between 60 and 68°F (15.5 to 20°C). 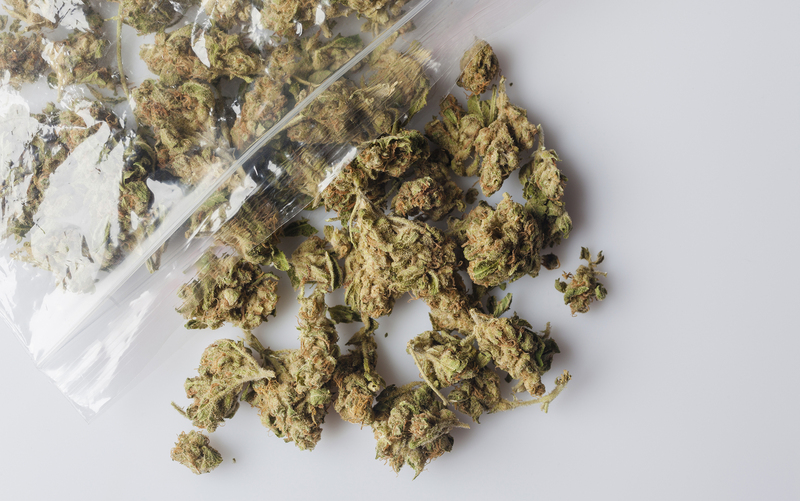 After that, it is best to move your herb into more long-term storage, which means moving your cannabis to a cool, dark place like a root cellar. If you’re hoping to your buds hydrated and tasty at home, storing them in a proper container is essential. Try the CVault Humidity Controlled Storage Container from the Herb Shop. After all of that, you can enjoy great-tasting, hydrated buds for six months or longer. Enjoy!